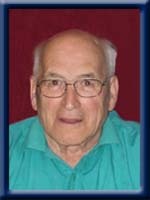 UHLMAN – John W. “Billy” 81, of White Point, Queens County, formerly of Chelsea, passed away peacefully in Queens General Hospital, Liverpool on Thursday, March 28th, 2013 with his companion, Sylvia, by his side. Born in Chelsea, he was a son of the late James “Essie” and Blanche (LeBlanc) Uhlman. Billy was a former employee of Bowater Mersey Paper Company, Brooklyn retiring as foreman of the Wood Room. He enjoyed salmon fishing, hunting, camping and playing washers and crib with his buddies. Survived by his companion Sylvia Forbes, his daughters Annette Gamblin of St. Paul, AB and Janet Uhlman (Mitch) of Maple Ridge, BC, Dawn Uhlman (Scott) of Greenfield. Sons Kevin (Callie) of South Brookfield, Michael (Shirley) of Greenfield. His grandchildren Andrew Uhlman, Jennifer Uhlman, Cara Uhlman, Korbin Uhlman, Billie Mae Lavoie, Marshall Gamblin, Tara Gamblin, Chelsie Tagg, Lindsay Mullett and Levi Nickerson. His great grandchildren Grey, Griffyn and Geneva Forbes, Alex, Charlie and Leanne Wilson, Emmalee and Ace Tagg, Isaac and Evelyn Mullett. Sister Dale (Peter) Matthews of ON. His former wife Dorothy Uhlman. Predeceased by his son David, sisters Hattie, Ina and Lida. His brothers Norman, Jalbert, Robert, and James. Cremation has taken place under the direction of Chandlers’ Funeral Home, Liverpool. At Billy’s request there will be no service. Donations may be made to the Canadian Cancer Society. Online condolences may be made to www.chandlersfuneral.com. A special thank you to Dr. Blackadar, the VON, Homecare and the wonderful care he received at Queens General Hospital. A very special thank you to Al Shankel for being such an amazing friend. SO SORRY FOR YOUR LOSS SYLVIA, HUGS TO YOU AND BILLYS FAMILY. Billy was a person who when he gave you a hug, you knew you had a hug….He was a special person and though quiet, had a good sense of humour. Gerald and I learned a lot from Billy about RV’ing and about life. We are sad that he has passed away…sad for Sylvia, for Al and for his family & friends…. Billy will remain a part of those fond memories we have of camping, of quiet talks and huge hugs. We will miss seeing him at the grocery store every week and hearing his distinctive voice as he greeted us….RIP Billy. Sylvia,and all Billys families.It is with sadness that I say how I feel for all of you.I didn’t know Billy very well,but what I knew I liked as he seemed to have a good personality,and he seemed to be liked by all who knew him.My heart goes out to all of you at this sad time. A vlt machine, good friends and a little nip of something refreshing, and Billy will once again be at home. Safe journey Billy, until we all meet again. Bill was the kind of neighbour everyone should have. He was a very friendly man, willing to help and share a story or a laugh. We will miss seeing him, but now he is pain free. Our thoughts and prayers are with you Sylvia and his family at this difficult time. Dearest Sybbie…our thoughts are with you in your time of sorrow. You have many wonderful memories that you must hold dear to your heart to ease the pain. We will be thinking of you. Sylvia, sorry to hear about your loss.Our thoughts are with you in this time of sorrow and pain.RIP Billy. SYLVIA ,SO SORRY FOR YOUR LOSS. Sorry for your loss Sylvia, there will surely be a void, but you are a strong woman. Thinking of you at this sad time. Our deepest condolences in your loss. Aubrey remembers Billy as a very good friend, and a hardworking coworker. He recalls with fondness their many fishing trips around Coffin Island. May your memories ease your grief and your family and friends comfort you during this difficult time. Sylvia and Family,we are so sorry for your loss, Our thoughts and prayers are with you at this sad time. So sorry to hear of your loss. Keeping you in thought and prayer. On behalf of the Royal Canadian Legion and ourselves, we would like to send our condolences to the family and friends. He will surely be missed at the Legion and also at the cribbage games. He was a friend to all who knew him. To the family of Billy….we were so sadden to hear of Billy’s passing, but were grateful for the visit we had with him last Saturday. Our thoughts and prayers are with each one of you!! Sylvia and Family, so sorry to hear of Billy’s passing. He was a great guy and we so enjoyed all the fun we had over the years camping with you guys. Big Hugs to you Aunt Sibby. Take care. We are very sad to hear of your father’s passing. Our thoughts are with you. Hopefully, a family get-together can make the times a bit more comforting. Best wishes, all! So very sorry for your loss, he will be missed. Sylvia, Dawn and family; Sorry to hear of your loss. Keep all of your good memories to help you through your time of loss. So sorry for your loss..My thoughts are with you at this difficult time. He will be missed by many. Our thoughts and prayers are with you at this difficult time. We remember well the good times in Greenfield with you and Billy. We hope the Salmon are running and he gets a big one, we can imagine the the smile on his face. Love to you all, Ken and Mary. Mom and I send you our deepest sympathy . It is so difficult to overcome the loss of our loved ones. Sorry to hear of your loss, am thinking about you. We are sorry to hear of Billy’s passing. He was a kind and considerate man. Our sympathy goes out to the Uhlman family and to Sylvia…..
Our deepest sympathy to Sylvia and Billy’s family. I have known Billy for years and we shared the pass week in the same hospital room. Where we shared many smiles[ and a few jokes] together.He will be greatly missed by family and friends. Our thoughts and Prayers are with you all. Our sincere sympathy on the passing of your Dad. May you find comfort in knowing he is now free from suffering. Sibby and family sorry to hear of Billys passing will miss him on the camping trail,and all the washer games. Sorry to here about the passing of Dad,Kevin. I only met him a few times,but i enjoyed talking to him and Sylvia. you are all in our thoughts and prayers. God Bless. Thinking of you at this sad time, Sylvia. Billy was a nice man and his passing will leave a large void – not only in your own life, but in the lives of his family and many friends. RIP, Billy. Dear Syvia, we are so sorry to hear of Bill’s passing. I only met him the once when we were back home after the reunion and I said to Roger, Billy is a great guy and Sylvia and Billie are a wonderful couple. Bill is gone, but not forgotten, you have lots of memories, Sylvia, more so than we do, but what we have I’ll cherish forever. Take care Sylvia, our love and our prayers are witrh you through this difficult time and always. Sending our sympathy to all of you. We have many happy & funny memories of Billy. He was a great friend and glad to have known him all my life. Virgil always liked him too. Hold on to your memories, as i have been for 15 yrs. They keep me going! In my prayers and thoughts. To Dawn, Annette, Janet, Kevin, Michael & families.Thinking of you all at this time.Your Dad was a great man with a smile for everyone.May he be pain free & sitting back having a drink & playing a game of cards. In my thoughts & prayers. Dear Sylvia(Sibby) , We are sorry for the loss of your beloved Billy. Our thoughts and prayers are with you at this trying time.But be rest assured GOd is looking after him now. Our thoughts of sympathy are also going out to his family as everybody hurts at this time. And we hope God is helping you deal with his loss. Sorry to hear of your loss. Our prayers are with you. Sibby and family, we were so sorry to hear of Billys passing,he will surely be missed! Hoping to see you soon. So Sorry to hear about Bill’s passing. Bill we a very well know man, he had an amazing sense of humor and I enjoyed talking and joking around with him every day that he was into Dooley’s. May you rest in peace and fly with the angels! Our thoughts and prayers are with you all. So sorry to hear of Billy’s passing. May God grant you comfort and peace during this sad time. So very sorry for your loss. Always enjoyed camping with Billy. He will certainly be missed by his family and many friends. We are so sorry to hear of your loss.Our thoughts and prayers are with all of you. So very sorry for your loss. We are thinking of you at this most difficult time. Take care. Sylvia: So sorry to hear of your loss. We are thinking of you at this most difficult time. Thinking of you all at this sad time. Knowing memories will be comforting in the days ahead. Our thoughts are with you, so sorry for your loss. We are so sorry to hear of your loss.Take good care of yourself. So sorry to hear of your loss. Treasure the memories you have of times gone by and let them comfort you. Thinking of you all. So sorry to hear about Billy, thinking of you all at this sad time. Sibby, Dot, Mike, Kevin, Janet, Annette and Dawn. I am so saddened by Billy’s death, he truly was a wonderful man. I will fondly remember his hardy laugh and winning smile—and yes—my first crush!!! His handsome good looks started my obsession with bald men. I will keep a special place in my heart for his memory. Bill was a great guy; may he no longer suffer; rest peacefully! to you in days to come. To Sylvia and the Uhlman family. I am so sorry to hear about Billy’s passing, I’ll always remember the smile on Billy’s face and the good times out at the old house in Greenfield and Hibernia campground playing horseshoes..
i will miss you neighbour! i will remember you! say hello to my buddy sam! Sending our sincere sympathy; our thoughts and prayers are with you at this sad time. Our throughts & prayers are with you & the Family . May you rest in peace Billy .We will always love you & miss you dearly . Debbie & Maynard Carrier .